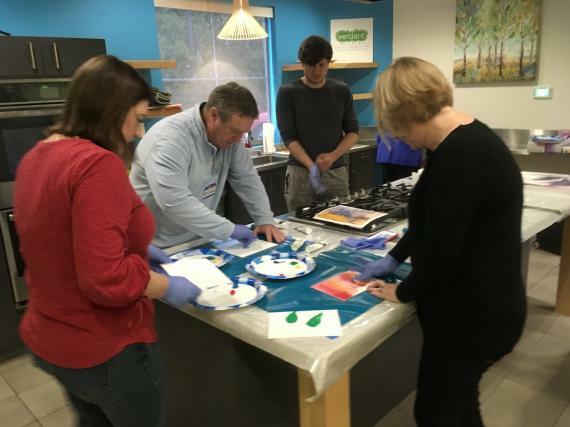 On December 11th, the UW Memory and Brain Wellness Center held FTD Education Day 2018, a relaxed half-day of learning, community support, and resource-sharing for people and families affected by frontotemporal degeneration (FTD), the leading cause of dementia under 60 years of age. 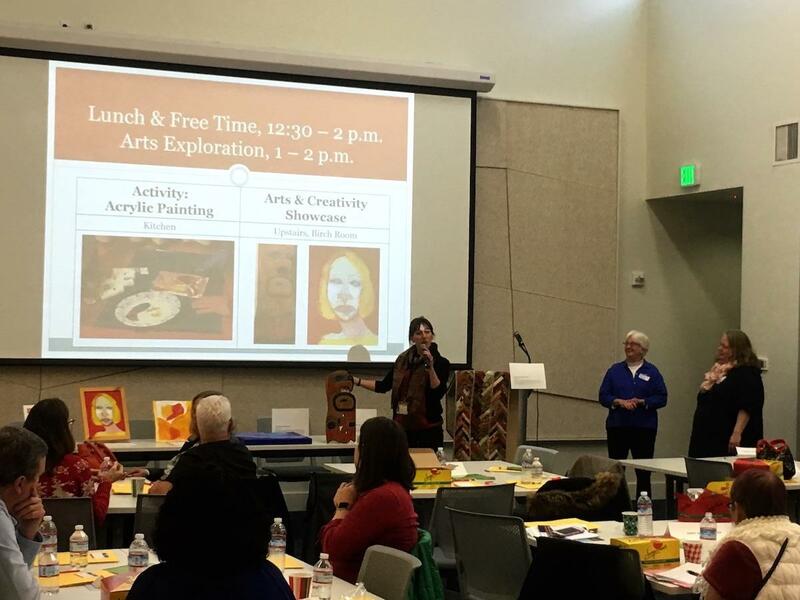 We've assembled resources, photos, and highlights from the FTD Day 2018 Arts & Creativity Showcase to share with all. FTD Day Resource List - FTD General Information & Resources/ Local and Online Support Groups/ How to Find Other Programs in Your Area/ Safety/ Legal and Financial Planning/ Driving and Transportation/ Children and Teens/ Local Adult Day Health / Adult Day Care Programs/ Books, Guides & Videos. The event specifically focused on the behavioral variant of FTD (bvFTD). Families dealing with bvFTD can face unique challenges in managing a loved one’s changing behavior and ways of communicating in social situations, especially during the period of time before a correct diagnosis. Because FTD often onsets in mid-life, before retirement and Medicare eligibility, care partners and families all ask, ‘What now?’ In medical literature, the condition is often termed a “rare” disease, but bvFTD seemed like a common experience at FTD Education Day, as over thirty-seven people from all over Washington State gathered at Verdant Community Wellness Center in Lynnwood, WA. 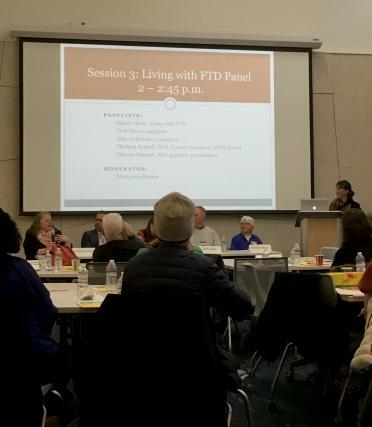 Marigrace Becker, MSW, of the Memory and Brain Wellness Center moderated a panel discussion about living with FTD. The day started with a basic overview of bvFTD by Christina Caso, Research Coordinator at the UW Alzheimer's Disease Research Center. She also highlighted current research studies for those interested in participating or enrolling in a registry: the ARTFL/LEFTDS Consortium, the FTD Disorders Registry, and the FOXY trial of intranasal oxytocin. 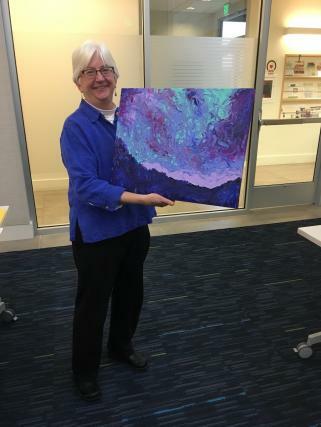 The group learned about the resources available in Seattle, such as the Alzheimer's Association FTD caregiver support group (See Resource List), led by Karin Miller. The Association for Frontotemporal Degeneration provided a rich source of information for people and families living with FTD. AFTD Regional Coordinator Volunteer Joanne Linerud represented the Northwest Region AFTD, which holds caregiver monthly support groups in Longview, Tukwila, and Seattle. There's also a national phone-based support group for adult children affected by a parent's case of FTD. For those interested in more FTD education, the 2019 AFTD Education Conference will be held on Friday, May 3, 2019 in Los Angeles, California. Online registration will begin on January 11, 2019, available through the AFTD website and future issues of the Help & Hope newsletter. The Living with FTD Panel in the afternoon produced valuable insights about living with FTD from people with intimate knowledge of the disease. 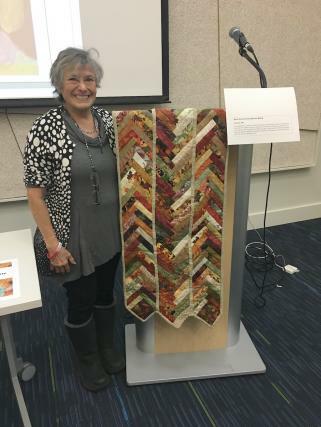 Sandy Howe, who lives with FTD, shared her methods of coping with changes in her thinking and behavior. She always carries around a whistle in case of a fall or accident; and an information card to easily explain her diagnosis to strangers in tricky situations. She recommends the book What If It’s Not Alzheimer’s? by Gary and Lisa Radin, as a good way to provide family members with important information about legal and financial matters. Dirk Howe, Sandy's spouse and caregiver, spoke about ways to alleviate the new stresses of home life. “It helps to get out of the house and spend time with other people who understand the situation. You are forced to be on your best behavior,” he said. Others on the panel addressed one of the most difficult issues for caregivers: talking with their children about a parent's diagnosis of FTD. Allyson Shrier, a caregiver for her spouse, expressed one regret that others took to heart. “I wish that we had made videos of my husband early on of him telling his kids how much he loved them and how proud he was of them,” she said. “Then, I could show it to our adult children now, so they could understand that they had an amazing dad and meaningful relationship with him.” Michael Howell, PhD, former caregiver and AFTD Board Member, acknowledged the difficulty of having conversations with adult children, which often bring up fears of inherited susceptibility to the disease. As a scientist himself, he found it empowering to talk about the importance of participating in research, and his optimism about emerging treatments, as drug companies take more and more interest in FTD as a treatment target. 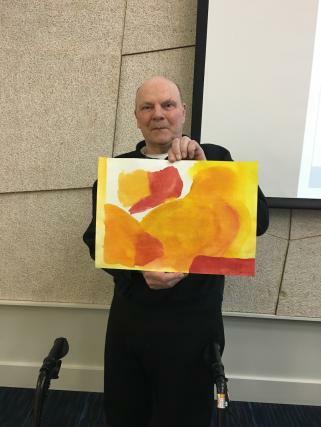 FTD Day included a showcase of art to celebrate the talents and strengths of people living with FTD. Marigrace Becker, MSW (Program Manager of MBWC Community Education and Impact) presents the art work and recognized the artists in the room. 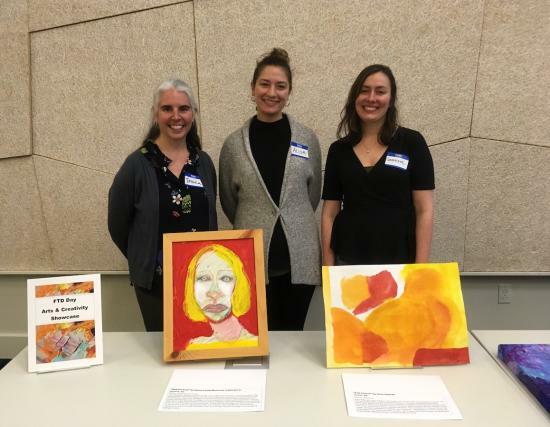 Pictured: Jessica McDougall (research coordinator, Alzheimer's Disease Research Center (ADRC)), Alisa Tirado Strayer (MBWC practicum student), and Genevieve Wanucha (MBWC/ADRC science writer). 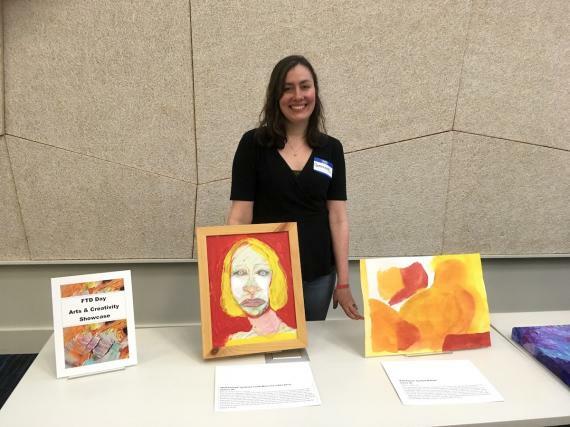 Genevieve Wanucha of the UW MBWC/ADRC, takes every opportunity to display her late mother's self-portrait, which has also been featured in Seattle's Art of Alzheimer's exhibit. 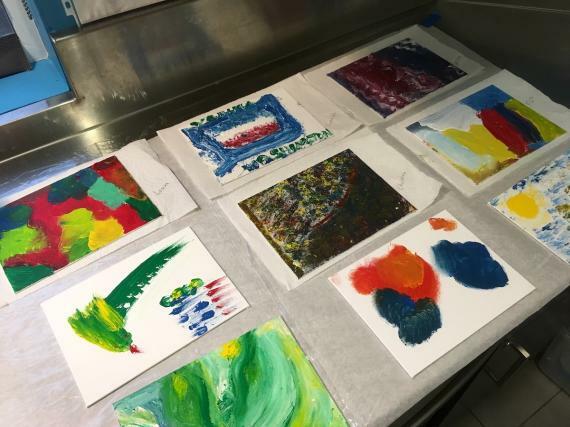 During lunch hour, people had the option to explore their creative side through finger painting, an activity suggested and facilitated by Sandy Howe, a woman who lives with FTD. 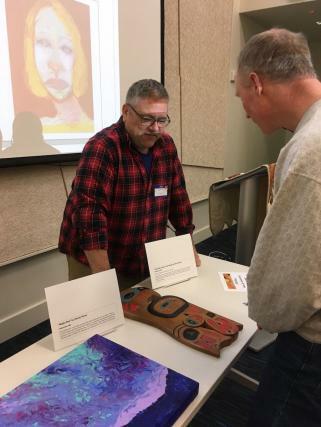 Thank you to our sponsor Rosewood Courte Memory Care, the Verdant Community Wellness Center in Lynnwood, WA for the inviting venue, and the Association for Frontotemporal Degeneration for on-the-ground support, getting the word out, and distribution of resources. 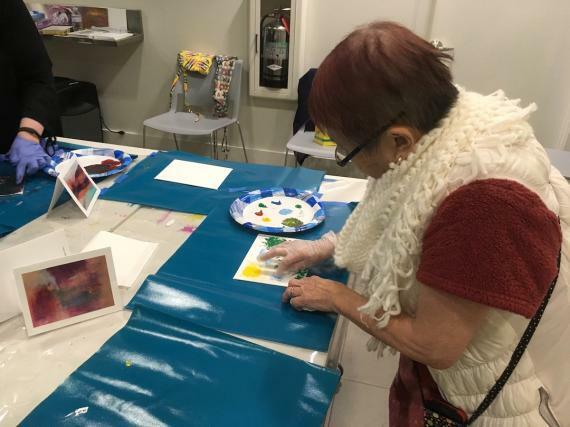 FTD Education Day 2018 is part of a program series offered by the Memory & Brain Wellness Center, as part of our mission to promote the well-being of persons living with symptoms of neurodegenerative diseases, and their families. Dr. John Ravits Gives an Encouraging Update on Genetic FTD/ALS Treatment - C9ORF72-linked FTD and ALS join the ranks of Huntington's disease and spinal muscular atrophy as targets of groundbreaking antisense oligonucleotide clinical drug trials. Clinicians deal with a genetic testing conundrum. 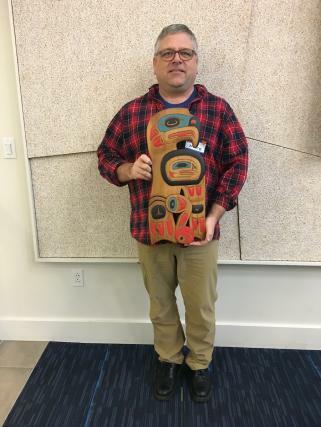 Keeping Him in the Game of Life - Monte Strohl, a MBWC patient who participates in speech language therapy at the UW Speech and Hearing Clinic, wants to help medical students understand the value of this approach for people living with primary progressive aphasia. FTD Spotlighted at National Dementia Care Summit - Our community partner, the Association for Frontotemporal Degeneration, gave a voice to the many families dealing with younger-onset FTD dementia, the new FTD Economic Burden Study, and huge research momentum.